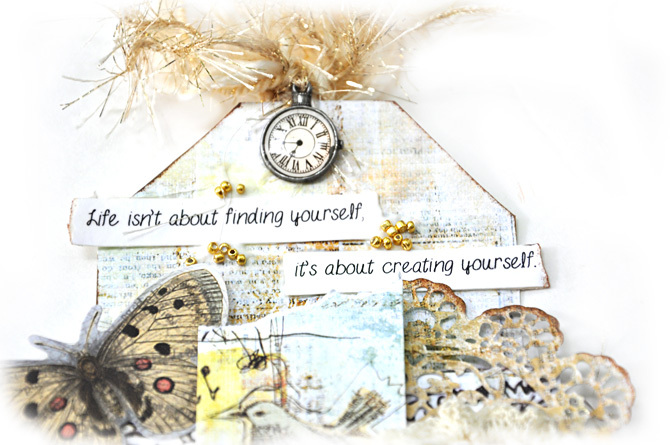 I thought I would create a tag using the new Epiphany Collection by Prima as well. 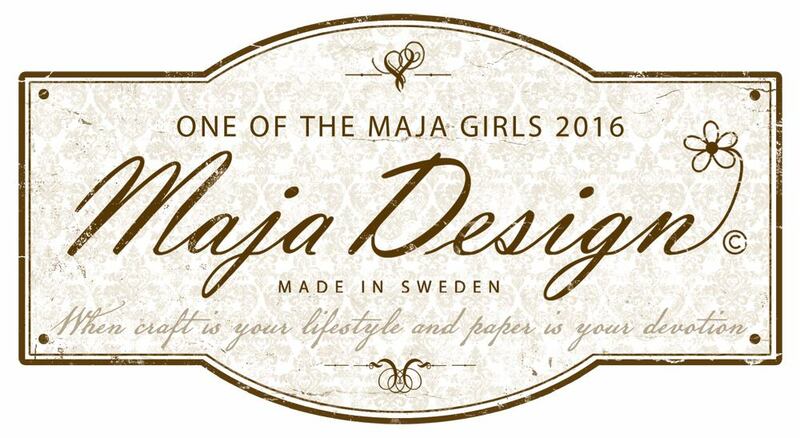 The graphics on this collection are really soft and delicate. 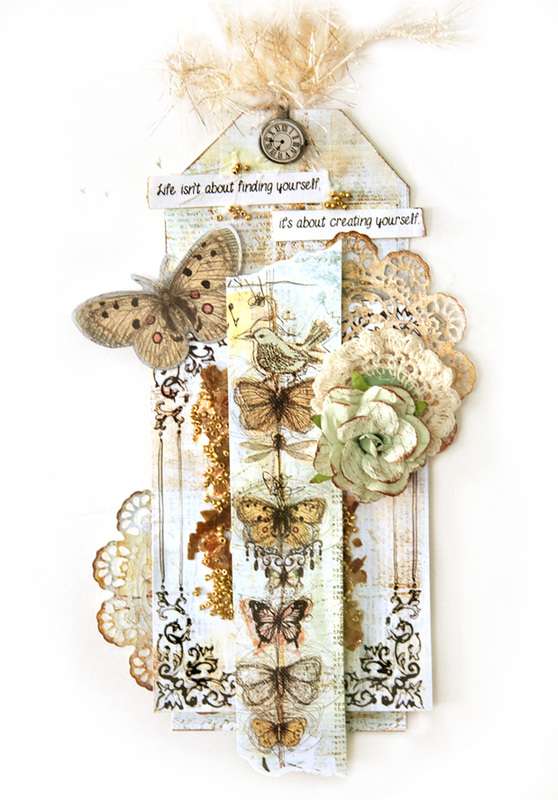 I love the butterflies I used on the top strip- beautiful and artsy. 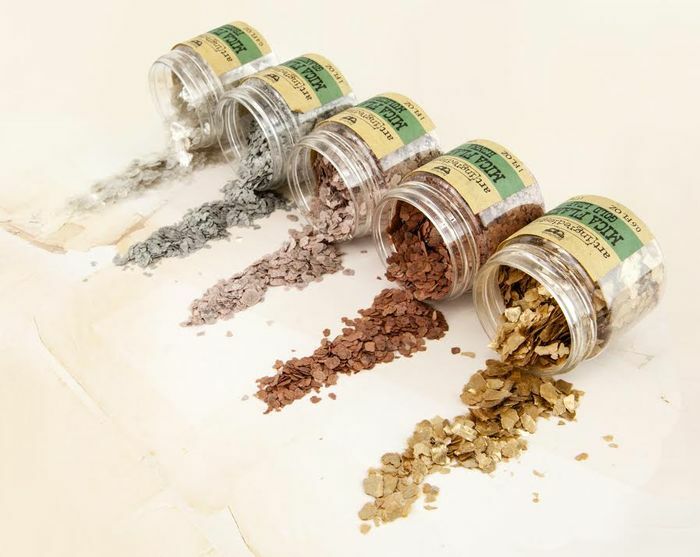 This is a photo of the mica flakes. 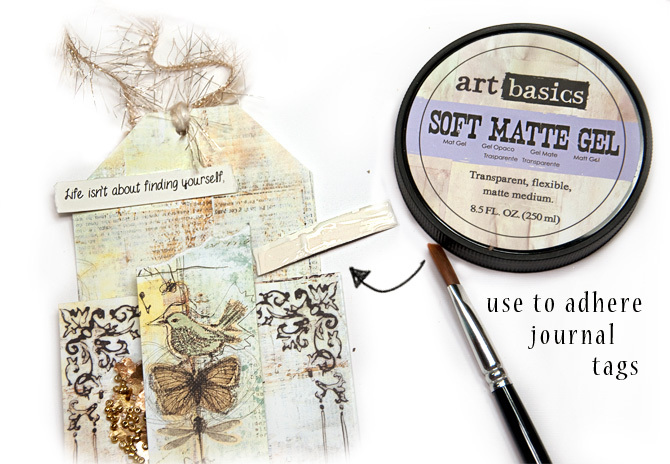 I used the Art Basics Soft Matte Gel on this tag as a sort of glue to adhere my mica flakes and glass beads. I find the gel medium works so much better for adhering journal tags and small delicate details. You can paint on the gel medium or use your fingers like I tend to do. I also used the gel medium once again as a glue to adhere my journal tags because the gel does not make them ripple. 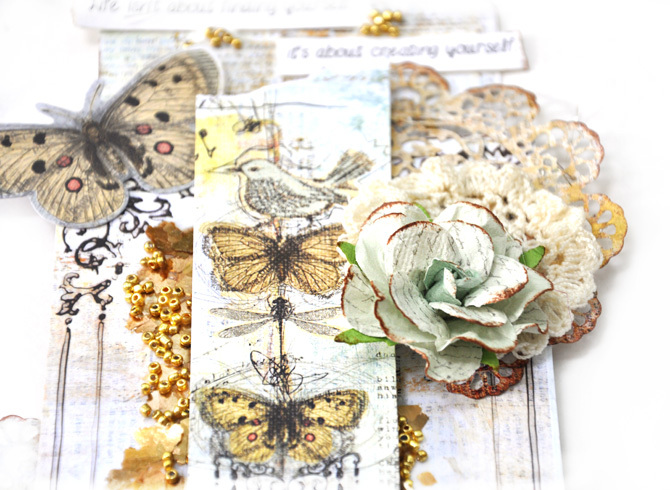 My journaling reads " Life isn't about finding yourself, it's about creating yourself"
Here you can see I have tucked in the wonderful Prima doily die and a sweet crocheted embellishment by Prima as well. Thanks for stopping. Look for the new art ingredients by Finnabair and Prima coming soon to your favorite stores. Beautiful tag!!!!! Loving the new product lines!!!! 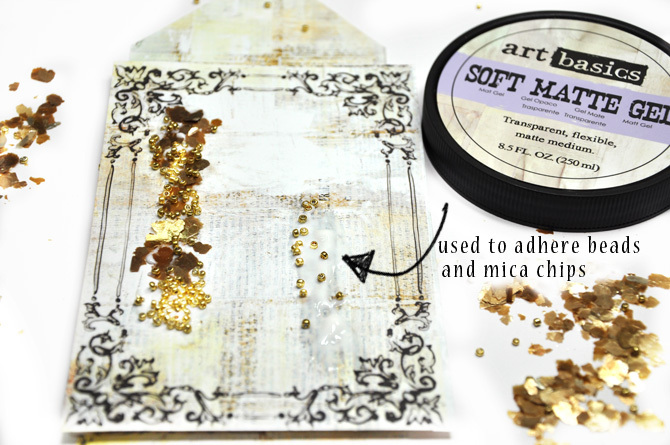 Gorgeous mica flakes and glass beads!!!! How elegant is the Epiphany line!!!! I know we will see this particular line in so many scraprooms!! 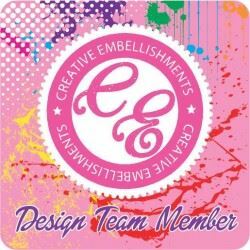 Your tag is super gorgeous.The new products are yummy!I love the little doilies poking out and the strip you used.Beautiful. Did you ever try to automate your free satoshi claims with a BTC FAUCET ROTATOR? YoBit lets you to claim FREE CRYPTO-COINS from over 100 different crypto-currencies, you complete a captcha once and claim as much as coins you can from the available offers.